"I've got a lot of killin' to make up for…!" Syfy has released an official trailer for the upcoming horror sequel Leprechaun Returns, being release straight-to-VOD in December. Remarkably, the Leprechaun series is currently on its eighth film. The most recent two were Leprechaun: Origins in 2014 (did anyone see this?) and Leprechaun: Back 2 tha Hood, of course, back in 2003. This new one even includes an old character from the original 1993 film, Mark Holton. And unfortunately Warwick Davis is not back this time, instead Linden Porco plays the super creepy Leprechaun. He returns once again, when a group of girls unwillingly awaken him, while they tear down a cabin so that they can build a new sorority house. The full cast includes Taylor Spreitler, Sai Bennett, Pepi Sonuga, Ben McGregor, and Emily Reid. This seriously looks crazy messed up and seriously twisted, not to mention packed with a bunch of bad one-liners. Watch below. In the new sequel, the deadly, wisecracking Leprechaun is back in all his gory glory. When the sorority sisters of the Alpha Upsilon house decide to go green and use an old well for their water source, they unwittingly awaken a pint-sized, green-clad monster. The Leprechaun wants a pot of gold buried near the sorority house, but first, he must recover his powers with a killing spree—and only the girls of AU can stop him. 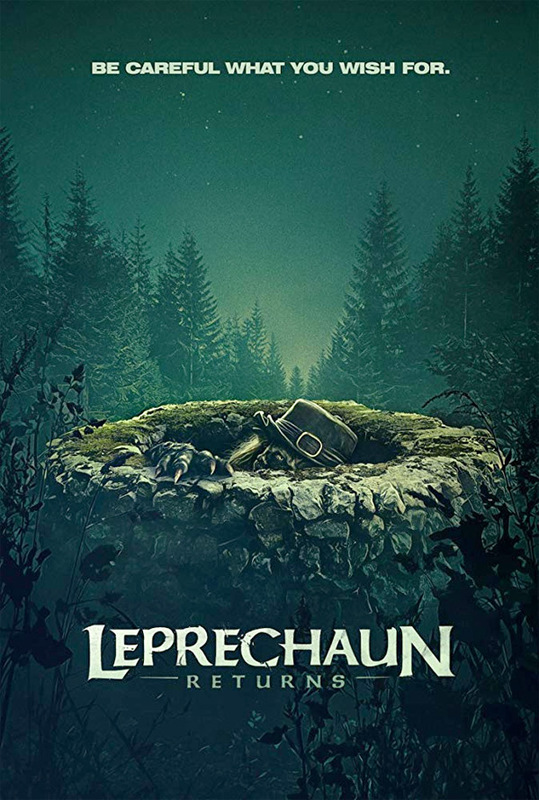 Leprechaun Returns is directed by Canadian filmmaker Steven Kostanski, director of Manborg, Father's Day, The Void, and a few short films previously. previously. The screenplay is written by Suzanne Keilly. Produced by Blue Ice Pictures, Out of Africa Entertainment, and Syfy as a TV movie that will also be on VOD. Syfy will release Kotanski's Leprechaun Returns direct-to-VOD starting December 11th this fall.